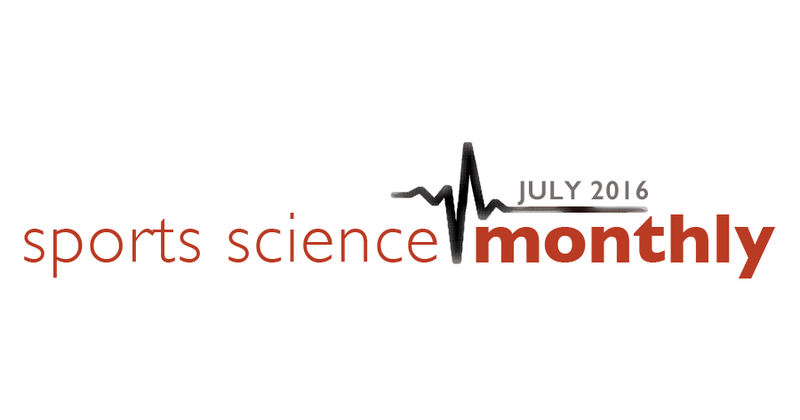 Welcome back to the fourth installment of Sports Science Monthly. This month we will be taking a closer look at a wide range of recent research on topics ranging from sleep to social media for athletes. The first overview is free. To access the summaries other the remaining topics you need to be a HMMR Plus Member. HMMR Plus is a new offering we have that gives users access to exclusive content like our article archive, webinars, online meet ups, and of course Sports Science Monthly. Therefore sign up now to gain access to Sports Science Monthly and more. To see what Sports Science Monthly is about, our April and May editions are available for free. Quick Summary: All athletes believe sleep is important, and yet most have issues with it; improving sleep quality with basic advice can improve subjective sleep scores in athletes. I talk a lot about sleep in these reviews, and I think rightly so. Sleep quite often doesn’t get the attention it deserves, but if you do something for a third of each day, you should aim to be as good at it as you can be. Previously we’ve looked at sleep loading, and how building up sleep before a competition might be useful. We’ve also looked at the effects of a night time game on sleep, and how that can have a knock-on effect to later in the training week. Other research has shown that poor sleep, particularly less total sleep, is associated with an increased prevalence of injury. Sleep then, is clearly important, and yet an often under-utilised area of performance enhancement available to athletes. That’s why our first study this month caught my eye; “Sleep of professional athletes: Underexploited potential to improve health & performance” by Tuomilehto et al. (2016). The researchers recruited a group of male ice hockey players, and evaluated their sleeping habits to create a baseline score. All the athletes received general sleep counseling advice, and a smaller number who were suspected of having a sleep disorder underwent further examination. After a year, the researchers provided the subjects with a follow up questionnaire, to see what effect the advice and interventions had on their sleep patterns. The type of questions asked were fairly basic, such as asking the players to estimate how many hours they slept per night, how many times they woke up in the night, whether they have problems sleeping, and whether they feel tired in the day, for example. The general sleep counseling advice was indeed general – avoiding mental stimulation pre-bed, minimising day time napping, etc. Nothing too ground-breaking at all, but again people often miss the basics. So what did the researchers find? At baseline, the vast majority of players (85%) slept for 7 hours per night; roughly 10% slept for 8+ hours, and about 5% slept for 6 hours or less. 22% of the players reported problems sleeping during the off season, and 46% reported problems sleeping during the competitive season. During the off season, 4% of athletes regularly took sleep medication; during the competition season, 17% regularly did (regularly in this case meant 3 or more nights per week). 36% of athletes reported that they took sleep medication at least one night per week. The average self-reported score for sleep quality was 7.5/10; almost 40% of athletes reported their quality of sleep to be less than 7/10. 80% of the players napped at least twice a week, and the vast majority of these naps were for longer than 30 minutes. 9% of players self-reported as regular snorers, presumably having been told (numerous times) by their significant others. 100% of athletes reported sleep as being important for performance. 80% said they had problems sleeping. 48% said they needed help with their sleep. That’s a lot of data reported at baseline, at it can tell us quite a bit. Remember, these findings are only what was found in this cohort of people (professional ice hockey players in Finland), and so we should be cautious about extrapolating to athletes that you coach or work with. It does give us food for thought though; almost half of all these athletes believed that they needed help with their sleep, and the vast majority had problems sleeping. For something that requires minimal intervention for a large reward, this really should be an area worth paying attention to. The athletes from this study were more likely to have sleep issues during the competition season, which follows studies I’ve reported recently in this column. 1 in 3 athletes regularly took sleep medication during the competitive season, which, depending on your standpoint, could be worrying. Sleep medication can change the natural sleep patterns; although you are technically asleep, you might not be recovering quite as well, which in turn can affect exercise performance. Sleep medication can also cause a slight hangover affect, with drowsy feelings lasting through the following day – which might have an effect on training quality, but also general life. So what happened after the sleep counseling? Well, the first thing of note is that were loads of drop outs; the sample size shrank from 107 at baseline to 40 at the one-year follow up. This was because a lot of the players had left the teams involved in the experiment. In those athletes who did complete the follow up, the mean sleep quality improved, from 7.5 to 8.1/10. 18% of players reported sleep quality to be less than 7, compared to the 38% that did so in the baseline questionnaire. In those players with a score less than 7 at baseline, their sleep quality improved on average by a score of 1.2, showing that those most at risk of poor sleep show the greatest improvement. So what can we conclude this study? Firstly, it seems likely that athletes we work with are going to have sleeping problems – especially in the competitive season. Secondly, that you can actually make quite a big difference in athletes sleep quality through just minimal interventions – promoting and re-enforcing good sleep behaviours for example. A finally, monitoring sleep habits and establishing a baseline might be a really useful idea.